A Keyscan access control system can play a vital role in making your facility a more controlled, more secure environment, 24 hours a day, 7 days a week, 12 months of the year. Designed to control and monitor entry points that include doors, elevator floors, parking gates or garage doors, a Keyscan access control system puts you firmly in charge of regulating access at every system controlled entry point. As Keyscan access control systems are network compatible, they seamlessly integrate within your existing network infrastructure giving you flexible design options and allow you to incorporate any number of buildings into one consolidated entity for unrivalled system management and oversight. With a Keyscan system you have the added flexibility that if you happen to be off-site, you can remotely connect to the access control system over the Internet using one of our optional WEB Client applications. Determining how to secure your facility is an important decision. Creating the right mix of security features is important to ensure that your assets are protected, while not impeding day to day operations. 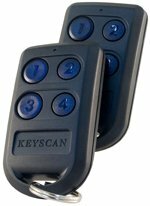 Keyscan systems are designed with the end-user in mind. 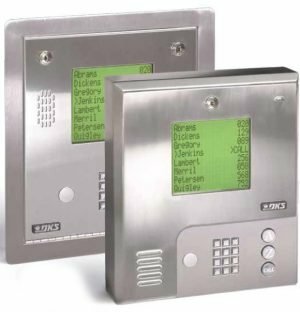 They incorporate intuitive features with easy to use software, and integration products that provide complete security for any building or facility. Whether you are a small business owner with twenty five employees, or the security director of a multi-national corporation with hundreds of locations to secure, our system design specialists can help you secure your premises with a world-class access control system. Access control provides control over facilities that traditional keys cannot. With the ability to lock and unlock doors from virtually anywhere, or allow access only during specified times you never have to guess who is in your facility. There are thousands of possible configurations for any system and you can pick and choose features to create an access control system that is customized to your needs and solve your most demanding challenges. 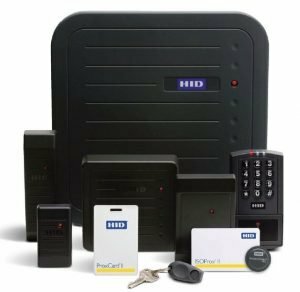 Access control systems have evolved over the years embracing new technologies for improved performance and integrating new functions for expanded capabilities. If you currently have an access control product but find it has become obsolete, it is lacking in performance, or it has expansion limitations, Keyscan can help. Retrofitting an existing system is often not as daunting a task as many originally anticipate. 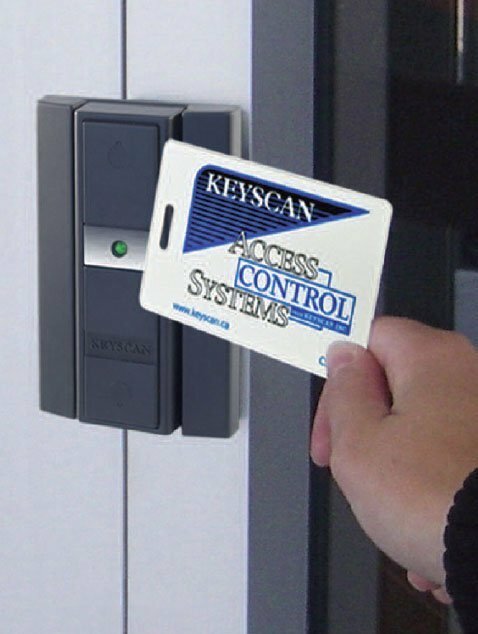 Keyscan is a non-proprietary system and in the majority of cases we can utilize the very same readers and credentials that are already installed at your facility. Furthermore, the existing wiring for your readers and electronic locking hardware can also be reused. The ability to re-use this existing infrastructure can dramatically reduce the costs associated with upgrading your current access control system. 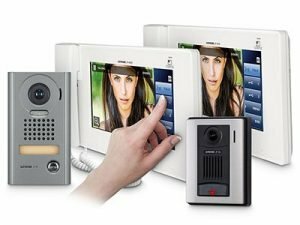 Even if you are only securing a small number of doors an access control system is still a viable and affordable option. Truly, any facility with doors and key holders is a candidate for electronic access control. 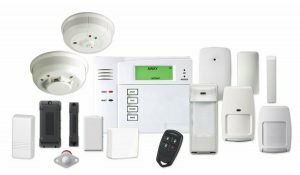 Removing the hassles keys present and the subsequent costs if you have to install new locks, not to mention zero reporting capability, all point to the benefits of electronic access control. Keyscan systems can be found running some of the largest and most complex access control deployments. 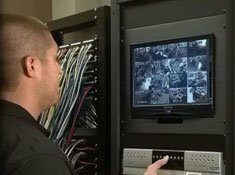 Our systems are fully LAN/WAN or Internet capable allowing nationwide and worldwide organizations to utilize our access control systems and, if desired, manage them from a central location. 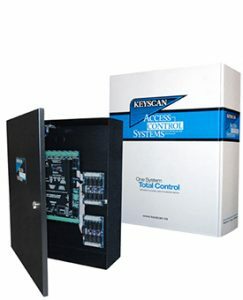 All Keyscan control units employ distributed processing so that in the event of a power failure or the network goes down, the access control system is fully functional with no security degradation. 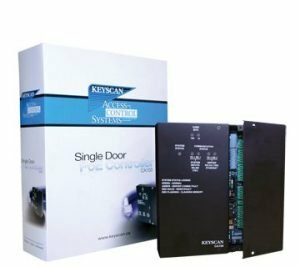 With no restriction on the number of controlled doors, Keyscan systems are fully expandable so as your business or organization grows, you can continue integrating more access control units for regulating more doors or elevators. 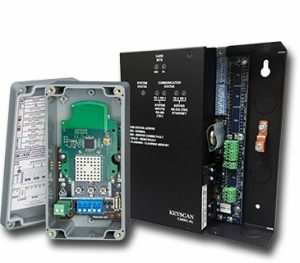 When it comes to performance, capacity, and overall capability, the CA150 is comparable with our full line of access control units. 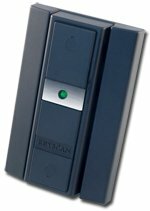 The CA150 is designed to perform with Keyscan access control management software. Integrates Allegion AD400 series wireless locks into new or existing Keyscan Aurora access control systems. The CA150WLKT* includes a CA150WL access control unit built by Keyscan and a PIM400-485 wireless lock interface unit from Allegion. Keyscan‘s 13.56 MHz contactless smartcard reader offers users the convenience of a contactless credential with the enhanced security that only a smartcard reader and credential combination can offer. Keyscan’s K-SECURE contactless smartcard is equipped with numerous anti-counterfeiting and card anti-duplication technologies and a robust AES multilayer encryption technology offering greater security. 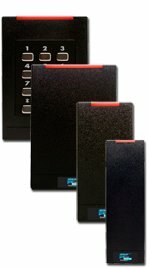 Keyscan iCLASS SE is a new access control platform best suited for new installations. Keyscan iCLASS SE goes beyond the traditional smartcard model to offer a secure identity data structure based on Secure Identity Object™ (SIO), a new portable credential methodology. iCLASS SE credentials are part of the next-generation iCLASS SE access control platform based on a Trusted Identity Platform (TIP) architecture for advanced applications, mobility and heightened security. 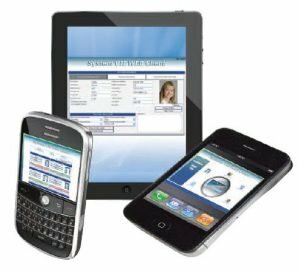 iCLASS SE makes access control more powerful, more versatile, and more secure by providing additional key diversification, authentication, encryption and portability for advanced security and performance. 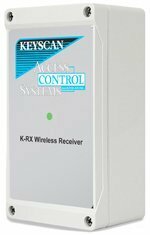 Keyscan’s K-RX wireless receiverKeyscan’s K-RX wireless receiver is a good selection for parking garages or parking gates and many other long-range applications. With rolling security codes and Keyscan’s built-in authentication routine, the K-RX and K-TX2/K-INTX2 deliver a secure wireless solution.